A FORMER Nissan factory worker who studied for a law degree while working on the line, has become one of the region’s first new legal apprentices. 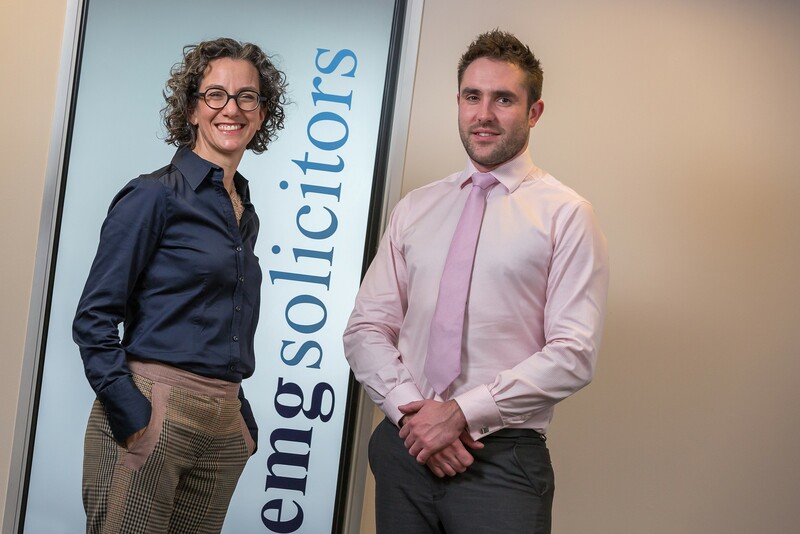 Twenty-seven-year old Callum Robertson from Lanchester has now joined EMG Solicitors in Durham, after signing up for a scheme which gives aspiring lawyers a new route to qualify. Callum studied for a part time law degree at Northumbria University while still working at the leading car manufacturers, often leaving night shifts and going straight to the library to study. But his dedication and tenacity has now paid off, after being offered the solicitor apprenticeship with EMG’s niche private client practice, which specialises primarily in Court of Protection work but also covers everything from wills and family law to residential conveyancing and litigation. Callum will be spending time in various areas of the Abbywoods Business Park-based firm, starting off in residential conveyancing before moving into one of EMG’s speciality areas – will, trusts and probate. Long term it means he will be able to obtain an LLM Masters degree during his training, along with completing the Solicitors Regulation Authority’s new centralised assessment.